Free Tick Inspection. Prompt Service. 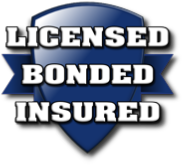 Call us today to schedule a free, zero obligation inspection and estimate. Need tick control service? We can do that too! 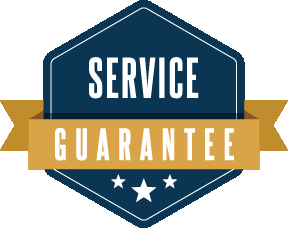 Home Guard is the #1 San Diego pest control & extermination company. We have over 14 years experience, and have helped over 5,000 homeowners and businesses with tick extermination and other pest control. Read on to learn why we are the top choice for pest control in San Diego, then pick up the phone and call us for prompt help with your pest problems. 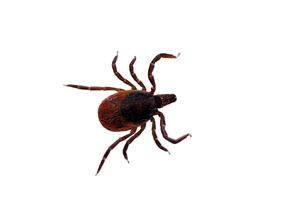 Appearance - The most common ticks in San Diego include the deer tick, American dog tick, and lone star tick. They vary in size depending on species, ranging from 1 mm (about the width of the narrow side of a dime) to over a centimeter long after a good meal. They have eight legs and are members of the arachnid family. Ticks have bodies comprised of a small head and larger body. If you live in a wooded area and have cats or dogs, you are more likely to develop a tick infestation. Since many San Diego tick species are minuscule, it's hard to spot these parasites, which makes San Diego tick control especially difficult. They often hitch a ride indoors on your pet, on humans, or on clothing and shoes. After they finish sucking the blood from their host, they will drop off and begin laying eggs. They seek out crevices and cracks indoors. When laying eggs outside, they like long grass. By cutting your grass short and repairing holes in the home, you can take steps toward preventing a tick infestation. If you have ever seen a tick on your pet, or if San Diego tick infestations are particularly common in your neighborhood, then you may want to consider giving your dog or cat on a preventative medication. Serious diseases such as Lyme disease are spread by San Diego ticks. Having them on your property and in your home can cause health problems for yourself and your family. Pinpointing and treating a San Diego tick infestation as soon as possible is extremely important. Our professional San Diego tick control professionals are trained in the most effective tick removal methods. Home Guard guarantees its treatment plan for a full year. If for whatever reason you have any new tick problems or other covered pests, we will treat immediately and at no cost to you. Immediately means you are our priority.